Ecolab is the global leader in water, energy, and hygiene technologies. They’re a huge company with 47,000 employees and sales of $14 billion. They have operations in 170 countries. If you work with equipment manufacturing in the foodservice and beverage industries, you know 3Wire. They provide comprehensive supply chain and service solutions for restaurant equipment. If you need a part or a manual, they can get it. Food Brands – Always fun booths, free hot dogs! We may be in Boulder, but we can’t resist a good Chicago hot dog. 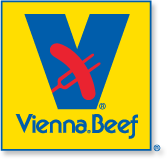 Vienna Beef has been making Chicago style hot dogs for over 120 years. They also make other sausage products, chili, and condiments. Their products are sold worldwide. Now here’s a vendor dear to our heart. Palazzolo’s Artisan Dairy has been making authentic Italian styled gelato and sorbetto since the 80s. They also have an astounding 200 flavors of frozen yogurt and soft serve! We wonder what they’ll think of our soft serve machines. 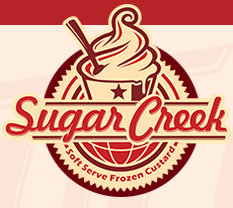 Sugar Creek and Honey Hill Farms have a combined frozen dessert experience of nearly 100 years! The two companies have gotten together to help independent frozen dessert shops differentiate themselves from the competition with their unique flavors. Ghiradelli has been making confections for over 150 years, but they do more than just make candy. They also make sauces, frappe mixes, chocolate chips, cocoa powders, and much more. Ferrero is known for two main products: Nutella and Tic Tacs. Ferrero is one of the world’s largest confectionary companies. Their Nutella and other hazelnut products alone account for one quarter of the entire hazelnut crop on earth! We can’t forget saying hello to some of our neighbors. 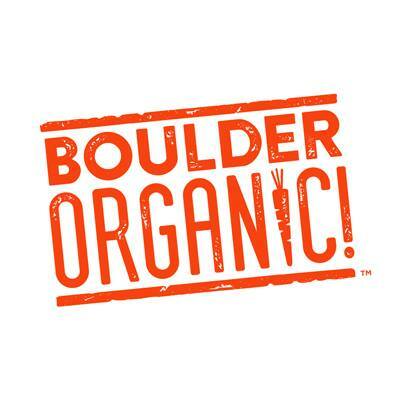 Boulder Organic sells certified organic, certified gluten-free, and non-GMO product verified soups. If you want a perfect bowl of healthy soup, check out their booth at the convention or come to Boulder to try it yourself. Boulder Brands is known for their Udi’s line of gluten-free products. They are the #1 gluten-free bread and baked good company in the US. If it involves a grain, chances are they have a gluten-free version of it. Many of their products are also dairy, soy, and nut free too. Their goal is ‘Making Gluten-Free Delicious’. Many restaurants use tea concentrates instead of tea bags to make quick tea during a busy rush. Cooper Tea is known for their premium B.W. Cooper’s Iced Brewed Tea concentrates. They developed the first USDA-certified organic, all-natural bag-in-box iced tea. Third Street also makes tea concentrates that are fair trade, organic, and non-GMO. They specialize in organic chai concentrates. We’d love to talk shop with all of the companies on the list, but we’d also love to talk with you. Who do you plan to chat with at the NRA show this year? SpacemanUSA can be reached at (888) 487-0631 or at info@spacemanusa.com. Thank you for the flattering listing. Chicago is our hometown and we are very pleased to extend a warm welcome and a hot, hot dog to every visitor to the National Restaurant Show. See you next year.